Established in 1965, the Sherburne National Wildlife Refuge is a 30,700-acre natural oasis comprised of grasslands, oak savanna, and forest. Holding the designation as a state Important Bird Area by the National Audubon Society, the refuge is preserved to help support the health of migratory birds by protecting their habitat. Indeed, more than 230 species of birds, 58 species of mammals, and 25 species of reptiles and amphibians call this refuge home for at least part of the year. 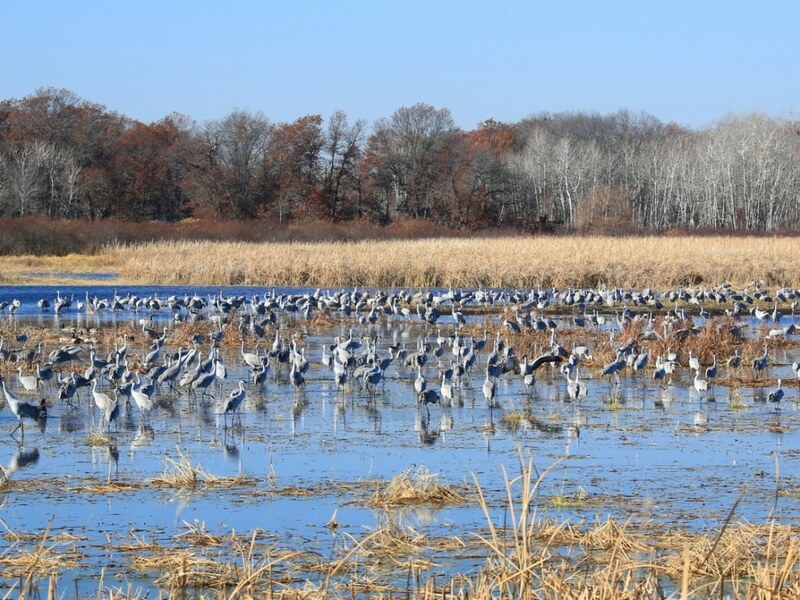 Located just an hour north of the Twin Cities near Zimmerman, Minnesota, the refuge makes for a perfect day trip, with plenty of opportunities for exploration all year round. Before you go, be sure to check the website for hunting regulations, as well as for restrictions on venturing out onto certain trails that are periodically shut off to humans to allow the wildlife to breed. Grab your skinny skis and take a tour around the ungroomed 5-mile Blue Hill Trail or the 3-mile Mahnomen Trail. The latter also allows snowshoeing and hiking. If you're in search of something a bit more adventurous, between September 1 and February 28 you can get off the beaten path to explore the refuge by ski or snowshoe, allowing you to reach areas of the refuge that would be impossible to explore in the summer months. Wide-open prairie, shrouded Big Woods forest, and plenty of rolling terrain make this a great winter outing. 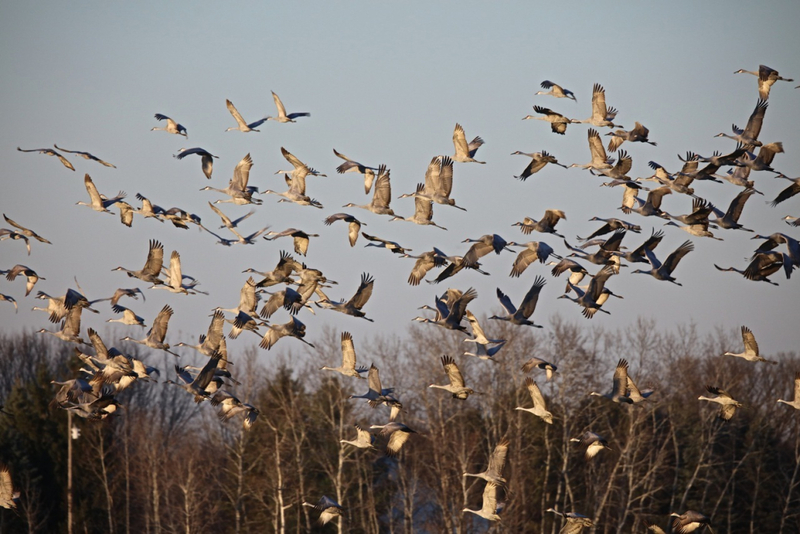 In October the sandhill crane migration takes place from the Sherburne National Wildlife Refuge. 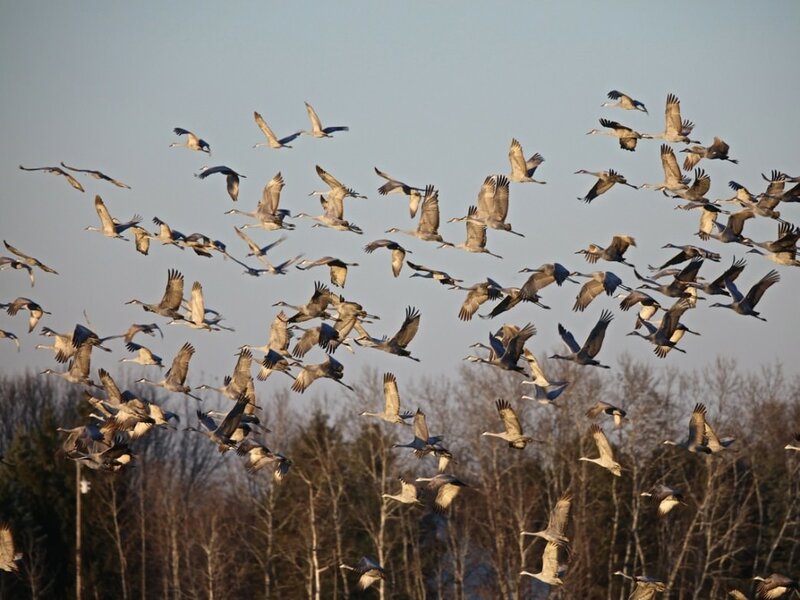 About 40 pairs of breeding sandhill cranes use the wetlands for habitat each year, in addition to thousands of migrating flocks, which arrive in September from the north. During peak migration in 2015, Sherburne saw a whopping 11,331 cranes, all of which stage in the refuge’s natural pools before heading south. With a 6-and-a-half-foot wingspan, these birds are a sight to be seen. The best time to catch a glimpse is at sunrise, but if you want some direction, consider signing up for one of Sherburne’s guided tours. While you may rather spend the day hiking around the refuge, it’s worth checking out the wildlife drive if you’re looking for a more accessible adventure. Located about a mile north of Orrock on Sherburne County Road 5, you can begin the 7-mile Prairie’s Edge Wildlife Drive, which is open April through October. This drive allows you to access wildlife viewing areas in the wetlands, oak savanna, prairies, and woodlands via short hiking trails. If you’re a photography buff who likes to get outside, you’ll discover plenty of Kodak moments at the Sherburne Refuge. 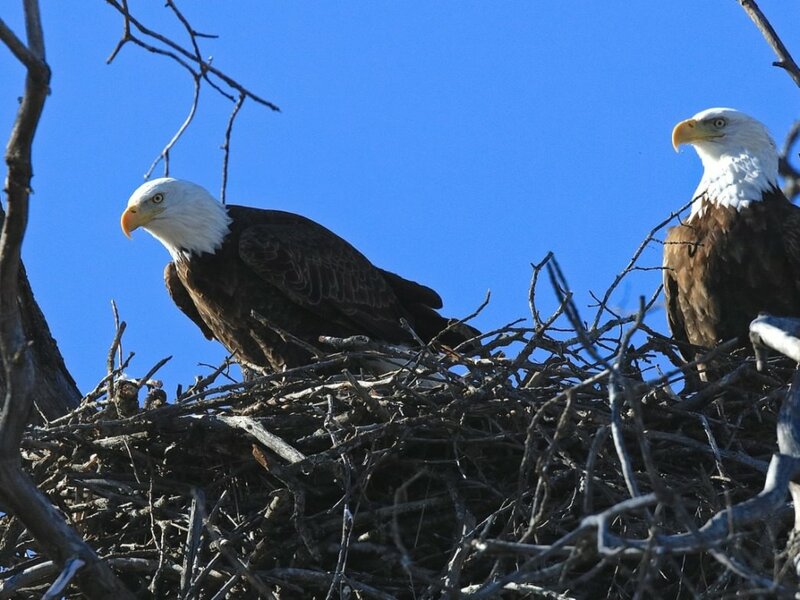 You can catch everything from bald eagles to white-tailed deer. That’s not to mention the gorgeous surrounding landscapes that make this area famous. Be sure to head out either at dawn or dusk for the best shots and always avoid disturbing the wildlife. 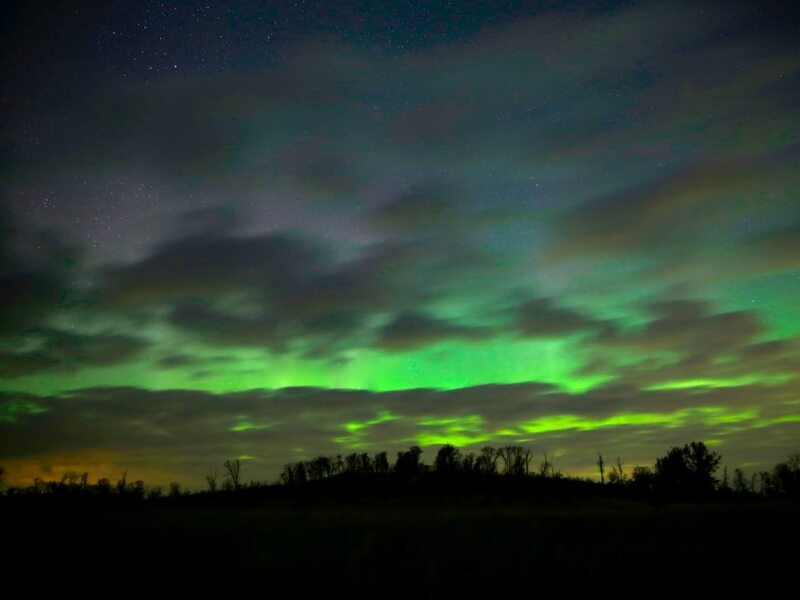 If you’re hoping to catch the northern lights, consider sticking around after dark for some gorgeous views. In the summer months, consider loading up your canoe and paddling Battle Brook and the 35-mile St. Francis River. Part of the watershed of the Mississippi River, the St. Francis River snakes its way from north to south through the Sherburne National Wildlife Refuge. With around 30 types of fish, don’t forget your fishing rod. While camping isn’t allowed in the refuge, you can pitch a tent at the nearby Sand Dunes State Forest . Consisting of oak savanna, prairie, and 2,700 acres of pine plantation, it provides a great opportunity to explore the natural diversity in this part of the state. 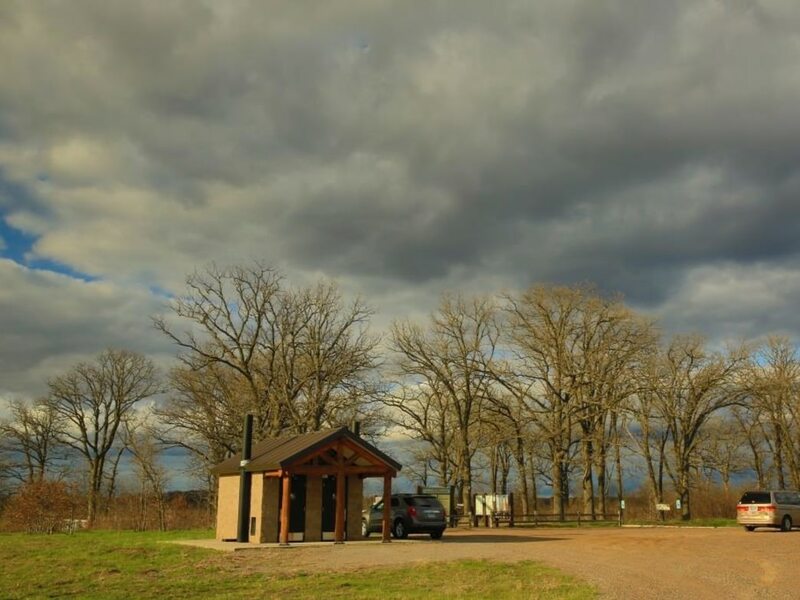 The 36-unit Ann Lake Campground offers primitive campsites with easy access to everything from horseback riding, to snowmobiling, to cross-country skiing. What's more, by sticking around overnight, you can explore more of the wildlife refuge.